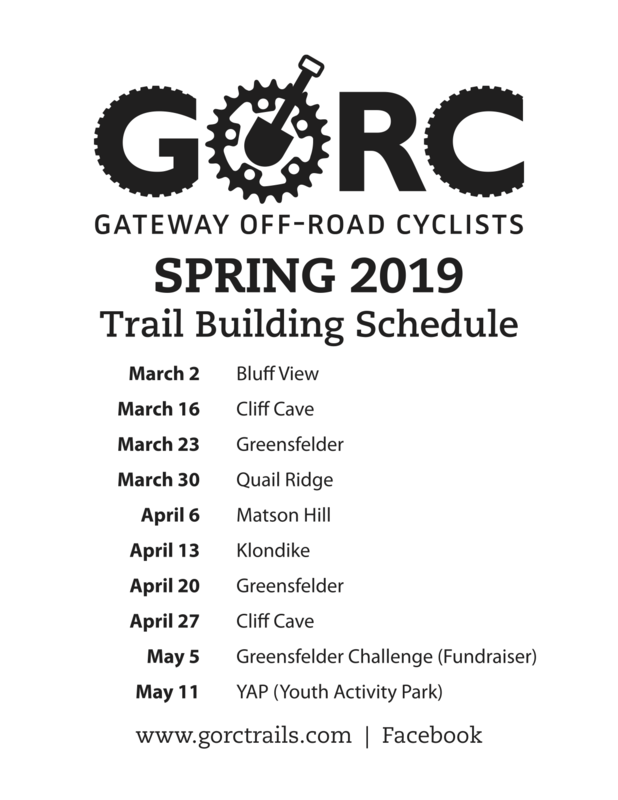 The 2019 Spring Trail Building Schedule is now posted. Be sure to check the website under the Rides and Events Tab -> Events subsection for information on each spring trail building event. -- Beginning work on the Deer Run revitalization project at Greensfelder. --Always more so stay tuned here and on our Facebook page. We hope to see you at one or more of our trail building events. Spread the word, love the trails.